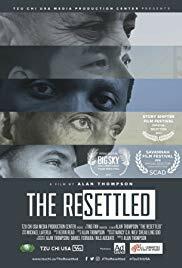 Join us to watch The Resettled, a documentary calling attention to the international refugee crisis. This 30-minute film presents the dramatic stories of refugees who are building new lives in America and asks us to consider our country's commitment to welcoming people from distant lands. Following the film there will be a panel discussion on the topic. We welcome a frank, honest, and respectful dialogue among community members ages 11 and up about the experiences of immigrants and refugees. This is a program of the Castro Valley Community Alliance. For more information about the Community Alliance click here.